Today Holy Mother Church prays for her children who, at the moment of death, though destined for the everlasting glory of heaven, were not yet prepared to enter into that joy, but who were also not deserving of hell. These are the members of the Church Suffering, the Poor Souls in Purgatory who are being purged – purified – for the everlasting life of heaven. This Commemoration of the Faithful Departed, this All Souls’ Day, is a stark reminder to us that not every soul enters the glory of heaven immediately at the moment of death. Jesus says, “Everything that the Father gives me will come to me, and I will not reject anyone who comes to me” (John 6:37). It is our choice in this life whether or not to belong to Christ, but just as he will not reject anyone who comes to him, neither will he force anyone to come to him. As Saint Augustine put it, “God made you without your consent, but he does not justify you without your consent.” The choice is ours, to be made again and again, at every moment of our lives. With every word we speak, with every thought we think and every deed we do, we are free to accept or to reject the grace given us. He extends his hand toward us, saying, “Come, follow me” (Luke 18:22), and he waits for us to either grasp his hand or to walk away. We know that “death puts an end to human life as the time open to either accepting or rejecting the divine grace manifested in Christ.” This is why the manner in which we live this life is so important, for by it we make our decision for or against Christ. “With death, our life-choice becomes definitive – our life stands before the judge.” Today, then, is a fitting day for us to consider what the choice of my life is, towards what my life is oriented. This choice can have a multiplicity of forms, for each of our lives is different, though the fundamental choice before us remains the same. There are some people whose lives are so filled with wickedness that any desire for truth and love has been completely snuffed out within them. This is what is meant by the word, “hell.” There are also people whose lives are so imbued with love and purity that their love for God flows readily to their neighbor. Such holiness of life clearly marks one for heaven. But such people are not common, are they? there remains in the depths of their being an ultimate interior openness to truth, to love, to God. In the concrete choices of life, however, it is covered over by ever new compromises with evil – much filth covers purity, but the thirst for purity remains, and it still constantly re-emerges from all that is base and remains present in the soul. What, then, becomes of these souls who are open to and desirous of truth and love, but whose lives are also marked with sin? "Will all the impurity they have amassed through life suddenly cease to matter? We often speak of the pain of the fire of Purgatory; why do we do so? The Psalmist tells us, “fire goes before [the Lord]; everywhere it consumes the foes” (Psalm 97:4). Saint Paul tells us that we will be saved, “but only as through fire” (I Corinthians 3:15). What is this fire, then, but the fire of divine love? The Lord’s “burning flame cuts free our closed-off heart, melting it, and pouring it into a new mold to make it fit for the living organism of his body.” This fire is the encounter with Christ Jesus himself, who is both Judge and Savior, and this encounter with him is the moment of judgment. Many today are afraid of the notion of judgment “because they confuse judgment with petty calculation and give more room to fear than to a loving trust.” They fear judgment because they have not yet opened themselves to the mercy of God. Before his gaze all falsehood melts away. This encounter with him, as it burns us, transforms us and frees us, allowing us to become fully ourselves. All that we build during our lives can prove to be mere straw, pure bluster, and it collapses. Yet in the pain of this encounter, when the impurity and sickness of our lives becomes evident to us, there lies salvation. 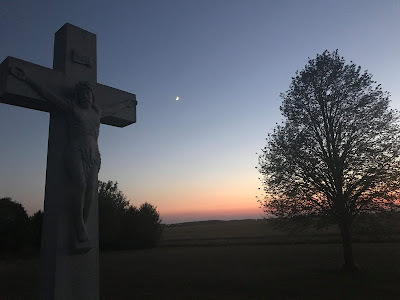 His gaze, the touch of his heart heals us through an undeniably painful transformation “as through fire.” But it is also a blessed pain, in which the holy power of his love sears through us like a flame, enabling us to become totally of ourselves and totally of God. In this way the interrelation between justice and grace also becomes clear: the way we live our lives is not immaterial, but our defilement does not stain us forever if we have at least continued to reach out towards Christ, towards truth and towards love… The pain of love becomes our salvation and our joy. Today’s celebration, while it is one of deep sadness as we mourn our beloved dead and pray for them, is also one of profound hope rooted in the love of God that makes us like himself. Let each of us, then, raise our prayers and offer our sufferings to the Father of Mercies for the Poor Souls in Purgatory. We know our prayers on their behalf are beneficial to them because, “no one lives alone. 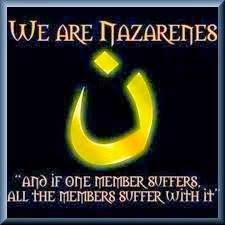 No one sins alone. No one is saved alone.” We are all one in the Body of Christ. Therefore, let us keep ever in mind the words of Saint Ambrose, the great spiritual father of our heavenly patron: “We have loved them during life; let us not abandon them in death until we have conducted them by our prayers into the house of the Lord.” Amen. Roman Missal, Prayer after Communion 3 for the Commemoration of the Faithful Departed. Roman Missal, Eucharistic Prayer I.
 Saint Augustine of Hippo, Sermon 169.13. Catechism of the Catholic Church, 1021. Pope Benedict XVI, Spe salvi, 45. Joseph Ratzinger, Eschatology: Death and Eternal Life, Second Edition. Michael Waldstein, trans. with Aidan Nichols, O.P., ed. (Washington, D.C.: The Catholic University of America Press, 1988), 230. Joseph Ratzinger, Seek That Which Is Above: Meditations Through the Year, Second Edition. Graham Harrison, trans. (San Francisco, California: Ignatius Press, 2007), 77.